Danvers: Joshua Allen, 9, part of the Lawrence Street float, won third place in the best costume category for his alligator apparel. Photo by Mary Catherine Adams/Salem News. 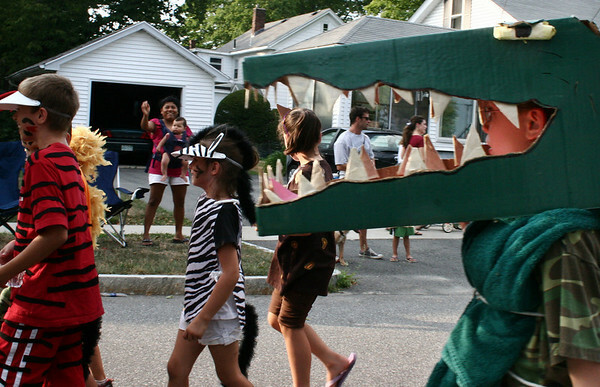 , Danvers: Joshua Allen, 9, part of the Lawrence Street float, won third place in the best costume category for his alligator apparel. Photo by Mary Catherine Adams/Salem News.